Acer CEO J.T. Wang is resigning from his post at the Taiwanese PC maker and will be replaced by president Jim Wong as part of a corporate restructuring that will try to revitalize the company's sagging fortunes. Citing the company's recent run of poor financial results, Wang said in a statement on Tuesday: "It is time for me to hand over the responsibility to a new leadership team to path the way for a new era." Wang will remain as company chairman until the end of his tenure in June, while Wong will take over as CEO at the start of next year. Along with the departure of Wang, Acer will cut employee numbers by 7 percent, resulting in annual savings of $100 million from next year. However, the company will take a one-time accounting charge of $150 million related to the reduction in staff and a "product plan termination", Acer said without elaborating. In addition, a newly formed advisory committee will propose changes to the company's strategy pending approval from Acer's board of directors. Following the changes, Acer intends to introduce more competitive products in the PC, tablet and smartphone space to stabilize its market share, the company said. The shakeup comes as PC shipments continue to decline, partly as a result of competition with tablets and smartphones that are more in demand. Acer has been one of the PC vendors worst hit by the downturn, resulting in quarterly losses. On Tuesday, the company reported its third quarter earnings, posting a NT$13.1 billion ($445 million) loss for the period. Revenue, at NT$92.2 billion, was also down year over year by 11.8 percent. 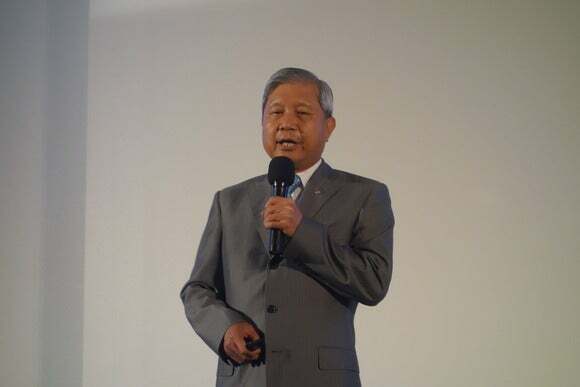 Wang started as CEO for Acer back in 2005, and has been at the company for over two decades. He briefly gave up his position as CEO to Gianfranco Lanci from 2008 to 2011 only to return to try to revive the company's struggling PC business. So far, however, the company has yet to find much success, especially as response to Microsoft's Windows 8 PC operating system remains tepid. In the third quarter, Acer's PC shipments fell by 35 percent year over year, according to research firm IDC. To diversify, Acer is releasing more Android tablets, smartphones, and even putting the Google operating system on desktops. Acer's Jim Wong has also been at the company for decades, having joined in 1986. In an interview last year, Wong said he wanted Acer to focus more on creating innovative products, rather than focusing solely on market share.